Do you spend a lot of time out of doors in the cold months? Whether you are watching football, hunting, or skiing etc, this Ear Warming Beanie is just that – an ear warming beanie with slots for hand warmers!! A Hand Warmer Beanie! Ahhh!! Our younger son plays junior football. He plays corner position and sometimes wide reciever, and a couple of weeks ago on the way to his early (way too early for a Saturday!) morning football game I decided that I needed a green hat to match his team’s colors. While we were sitting in the stands, me finishing up said beanie, our older son went to the concessions and purchased a package of hand warmers. 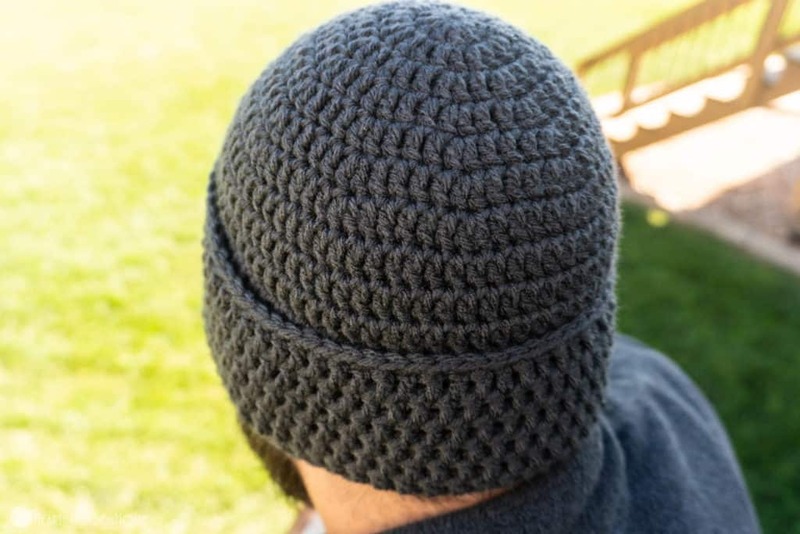 As I sat crocheting, I thought of how cold my ears were, and how awesome it would be able to stick one of those hand warmers in my hat, one on each side of my head. BUT WAIT! Why COULDN’T I have one hand warmer over each of my ears?! 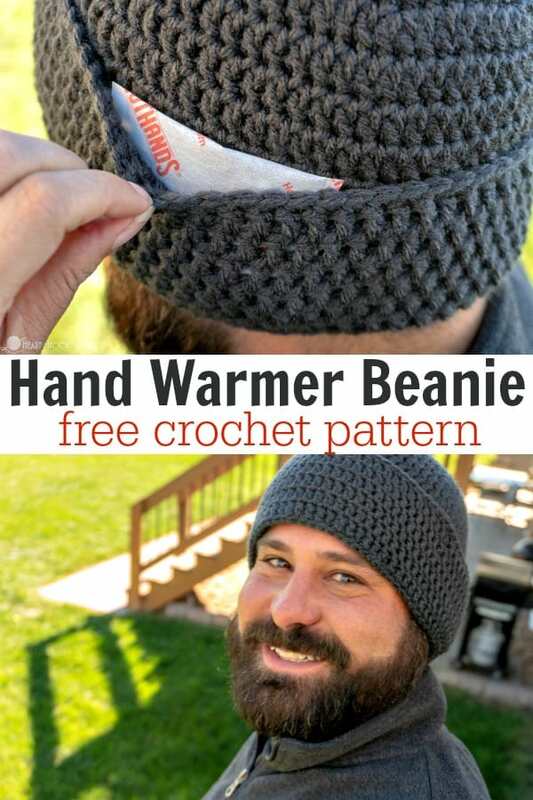 And just like that, friends, the Hand Warmer Beanie pattern was born. 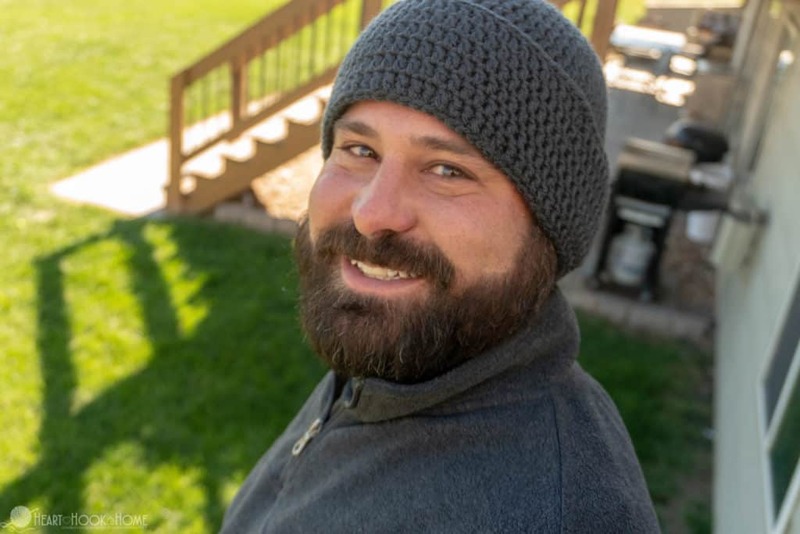 Even if you wear this beanie without the warmers in their pouches, it will still be warmer than the average beanie for the simple fact that we’ve doubled up the thickness of the brim – and for a good portion of it too, not just a short little cuff but a whopping 3+ inches! I have noticed that when you use a different yarn (Red Heart Super Saver, for instance) that the hat turns out a bit larger. If this the case for you as well, or if you are making for a smaller head, try going down a hook size to a G/4mm hook. For this beanie we are using the yarn UNDER method of joining rows. Read more on that here. I have been advised that the major brands of hand warmers are similar in size and shape. The hand warmers are rectangles approximately 3.75″ wide and 2.25” tall. 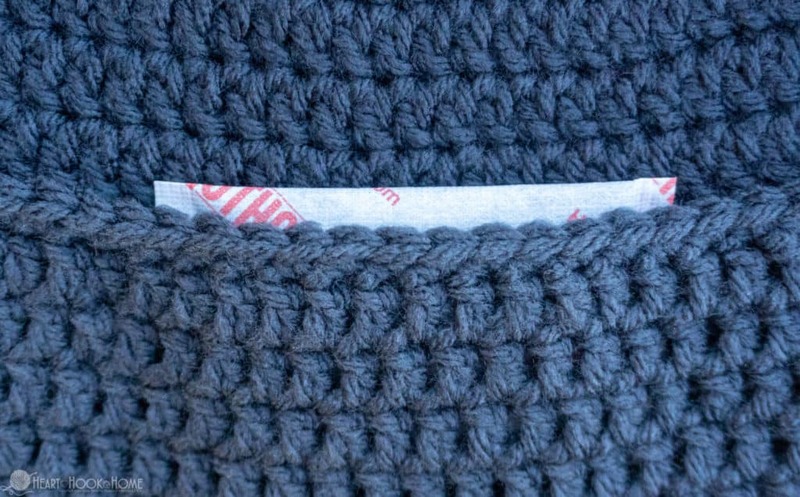 Obligatory disclaimer: Before placing hand warmers in the finished beanie, make sure to read the instructions on the package. I can not find anything that hints at this idea being unsafe, but as with anything else, read the directions and follow their instructions and guidelines for correct use. 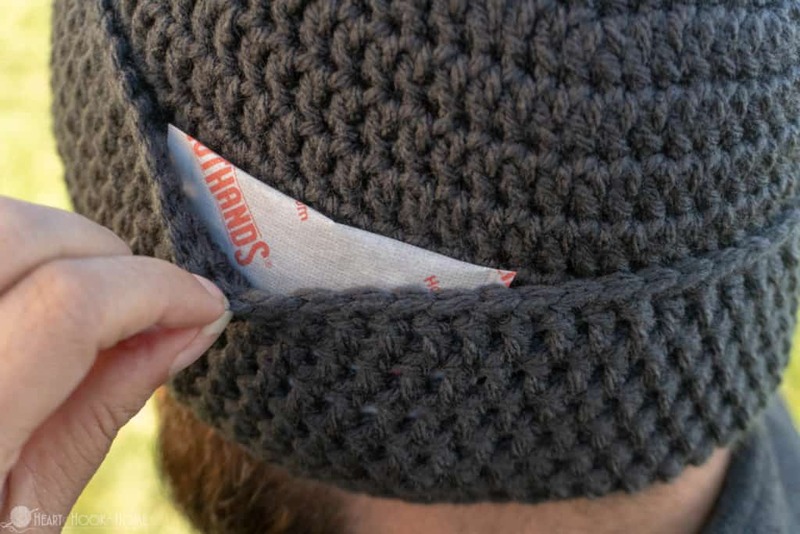 If the product gets too warm, remove from beanie. I myself find them to be perfectly, toasty warm! Row 24: Ch-1, sc in each st around. 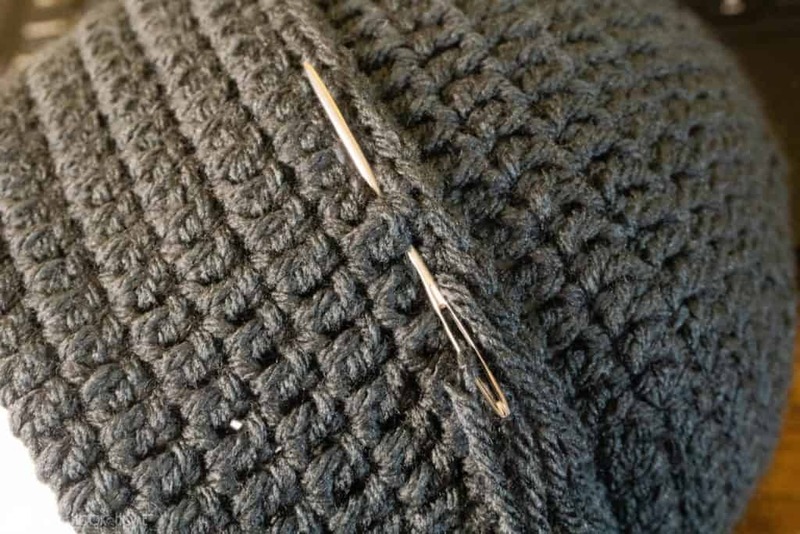 Fasten off using invisible join but do not clip yarn. 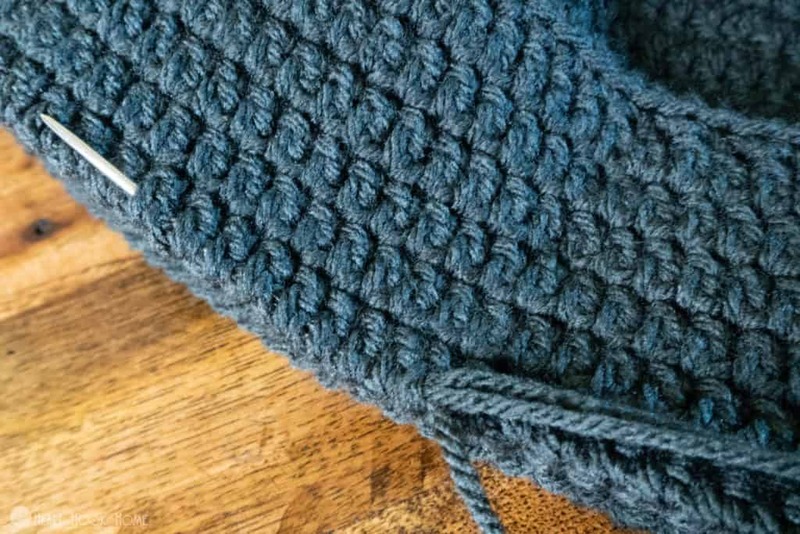 Leave enough yarn to sew cuff around the hat – about a yard or so. Sew brim to hat for 22 stitches. Sew straight down to bottom edge going through both fabrics. Feed yarn through next 13 stitches. Attach yarn in bottom of hat going through that row as pictured. Sc in between each stitch all the way around, fasten off using Invisible Join. This gives a nice, clean bottom edge. 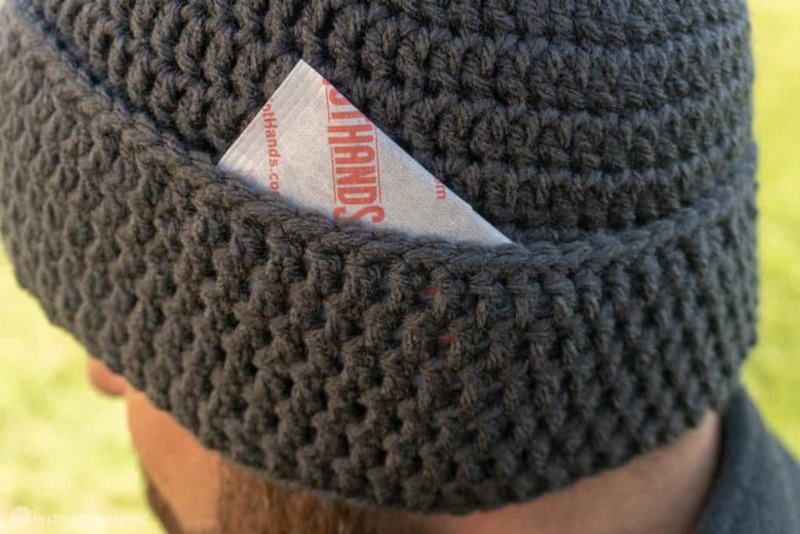 To use your hand warmer beanie, you’ll simply activate the hand warmers and insert them into the slots. I think this would an excellent addition to your craft fair table this fall. Maybe even buy a bunch of the hand warmers in bulk and roll them into the price of the beanie. You can get two Hand Warmer Beanies out of one skein of Red Heart With Love, and I have some pricing tips for selling handmade items. I absolutely love this idea!! I was just wondering of you have a YouTube video of this hat I am new to crocheting and find I understand better when I see it visually! Thank you so much! This is such a great idea! My hubby works outside all winter so I think he will really appreciate one. Thanks again for sharing. Ashlea, can the pattern be done in blanket yarn so it's warmer? If so, what has to be adjusted ...the number of stitches, rows or both? I will use the recommended hook on the yarn label. Thanks. Hi Dianne! Pretty much everything would need to be adjusted. 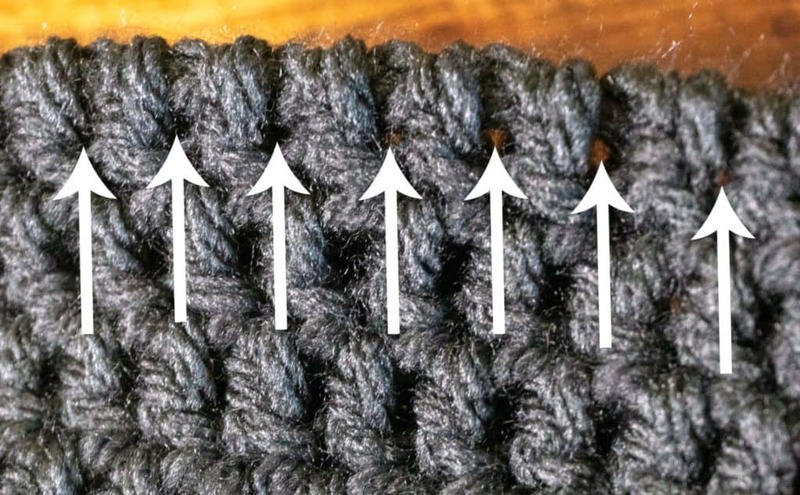 You could start the pattern as written, but I would suggest using my chart on how to size beanies to make sure you will get an accurate fit. 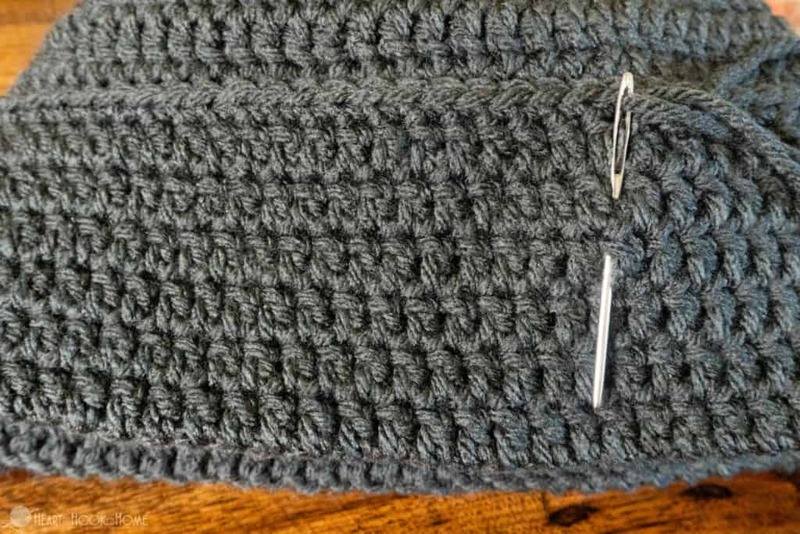 When your beanie reaches the hat height listed on chart, then turn your work and continue making rows for another 3". 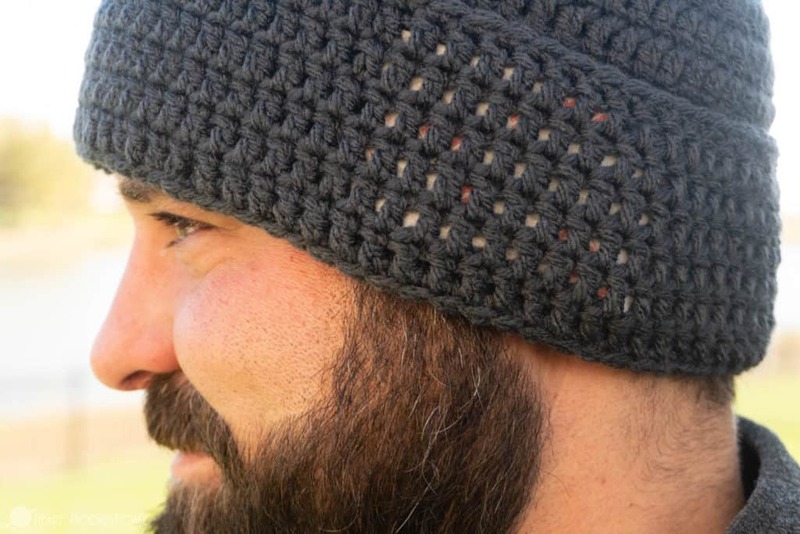 The link for how to size beanies can be found here: https://hearthookhome.com/how-to-size-crochet-hats-master-beanie-pattern/ Hope this helps! Hi Ashlea! I found this pattern just in time for Missouri deer season (which is Saturday). Just thought I would let you know, R3 & R4 are worded the same but you indicate stitch count different. R3 is (30) and R4 is (40). I know what it is suppose to be since I make hats but just thought you might want to know :) You're the Best ! Hi Barb! This pattern will fit most adult heads. If you need to make smaller, you can omit some of the increase rounds. Hope this helps! Hi Erin! No, the ch.2 at the beginning of each round does not count as a stitch. Hope this helps! I LOVE the tip on the seam. it is coming out great. will use this from now on. I can't figure out how to change it, Ashlea. I spelled your name wrong. I am sorry! It's almost 3am, lol. Ashlae, you have done it again! 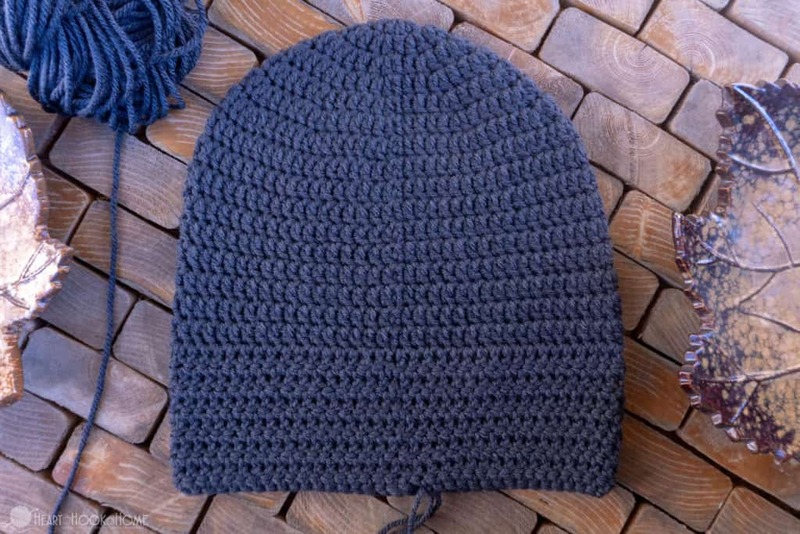 You created a special, and unique beanie, with an extra useful idea! 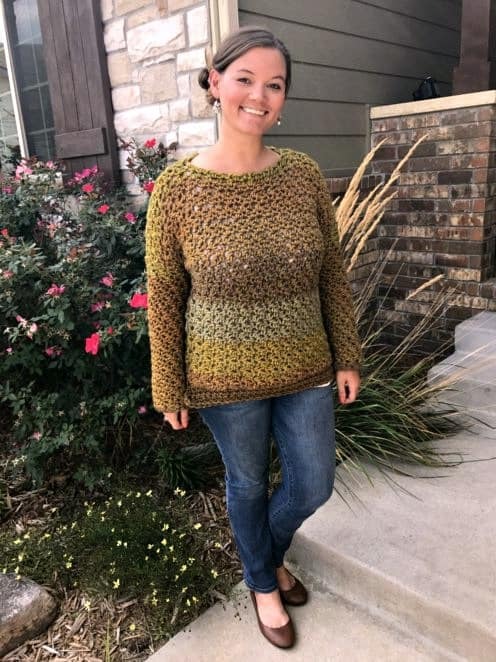 I can't wait to try this pattern!. 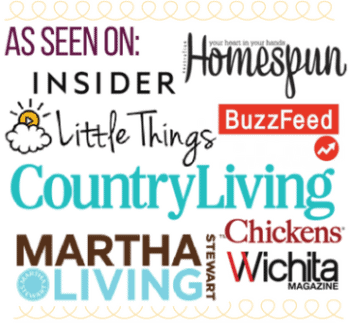 Thanks for all that you do, your help on your website, and oodles of patterns, so many are free. Stay warm this winter, or invent a way to keep you warm.